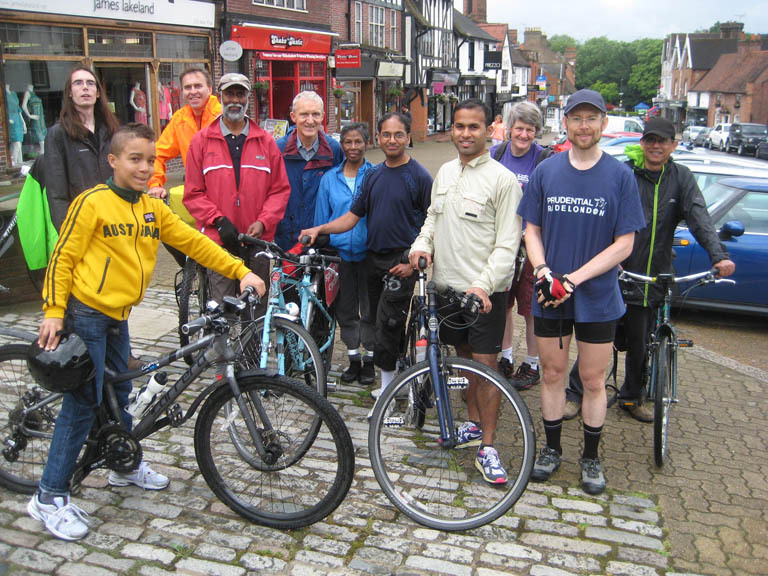 A regular Brent Cycling Campaign ride. Easygoing 22 mile ride round trip. Starts from outside Pret a Manger, London Designer Outlet, Wembley Park Boulevard, Wembley, HA9 0FD, at 11 am. Or meet at pick-up point Harrow-on-the-Hill Station (Station Approach, Lowlands side), HA1 3AN at 11:45 am. Perhaps a brief cafe stop at the quaint Pinner village (above). The highlight of the ride is the Ruislip Lido and beach, where we will stop for lunch at the pub or cafe. We can ride the Roxbourne Park miniature railways and cycle alongside some streams including Yeading Brook and River Pinn along the Celandine Route. And pass through wooded trails and parks including Pinner Memorial Park, Cuckoo Hill, Bessingby Park, Roxbourne Park and West Harrow Rec. Contact Charlie Fernandes for more details.